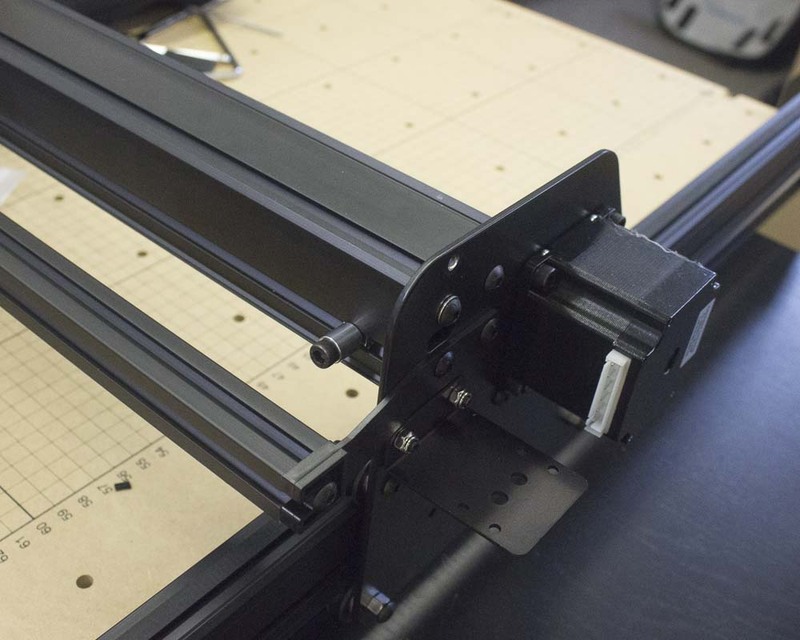 In this step, you’ll be assembling the main y axis rails and attaching them to the gantry. 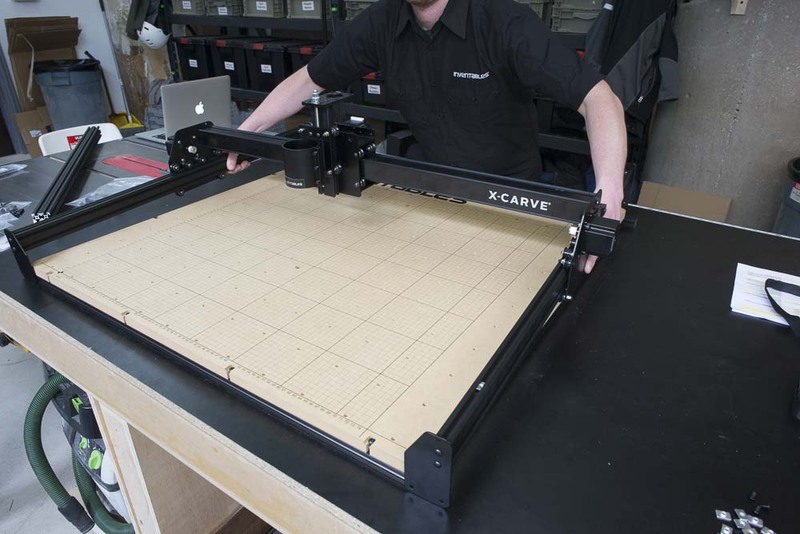 You’ll then attach this assembly to the work area. 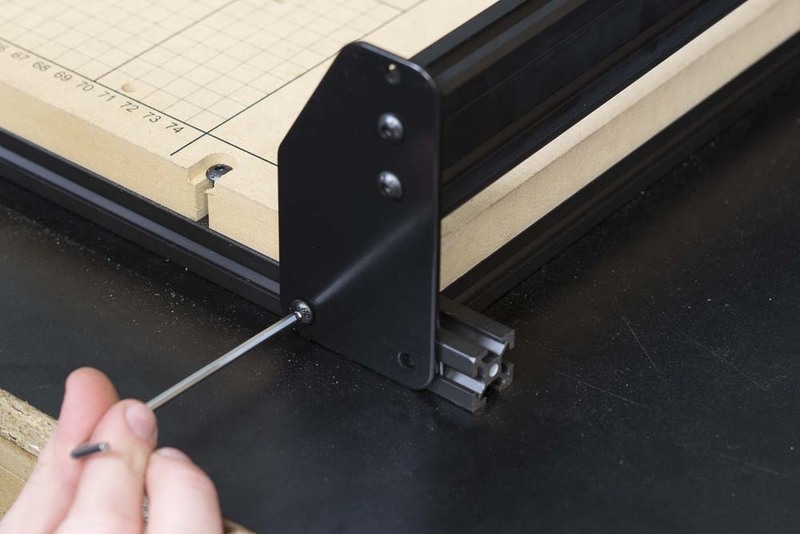 Begin by attaching a makerslide end plate to each 500mm makerslide rail. 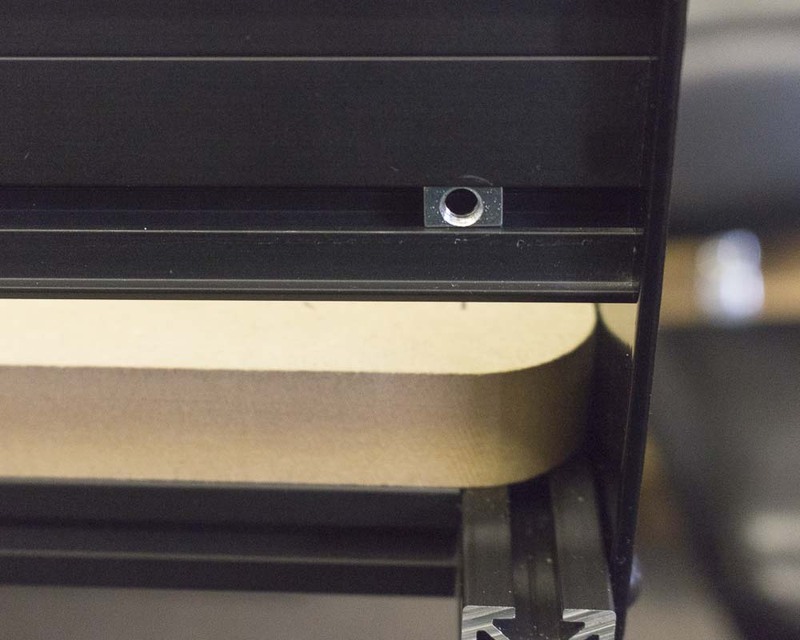 The groove on the side of the maker slide should be on the bottom. You will need to attach a stop to it in a later step that has to meet up with the homing switch. 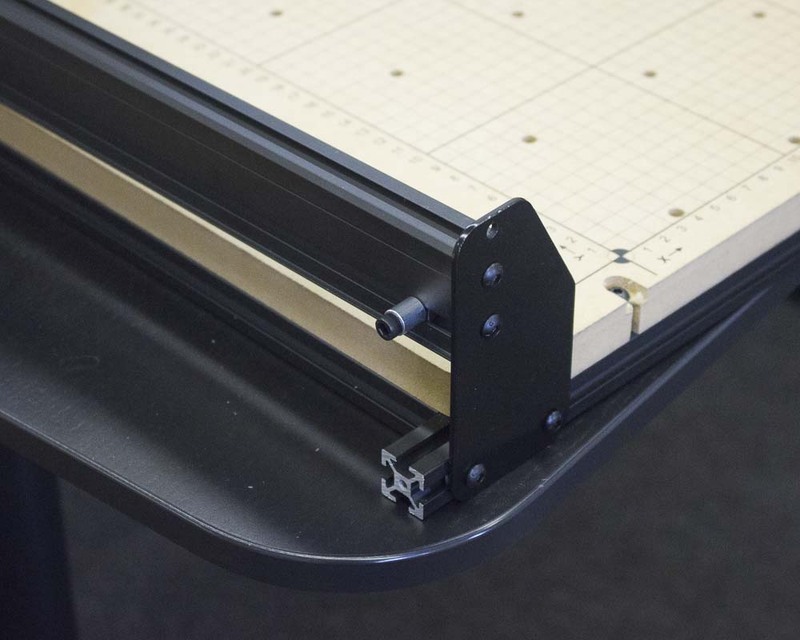 Also, make sure that the side of the makerslide with the v-rails is on the same side as the flat side of the end plate. 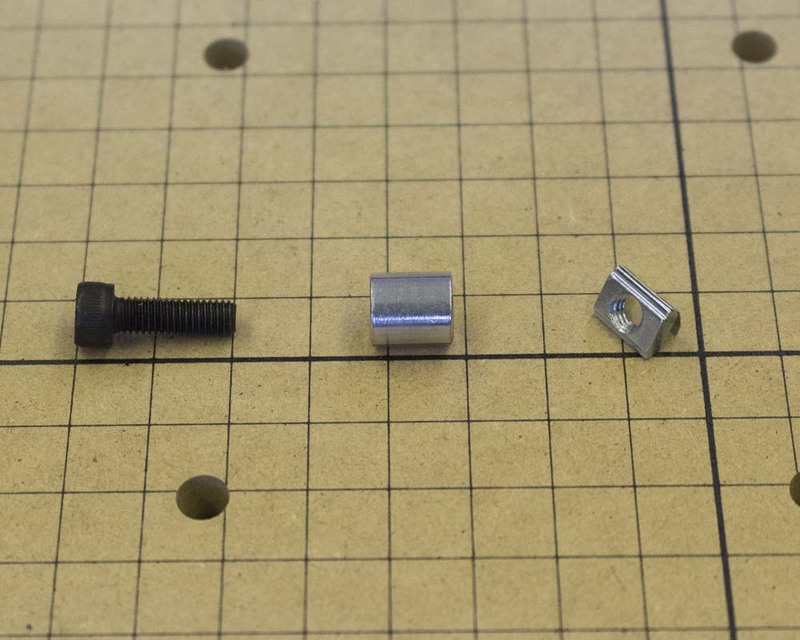 Use 2x M5x12mm button head cap screws on each plate. 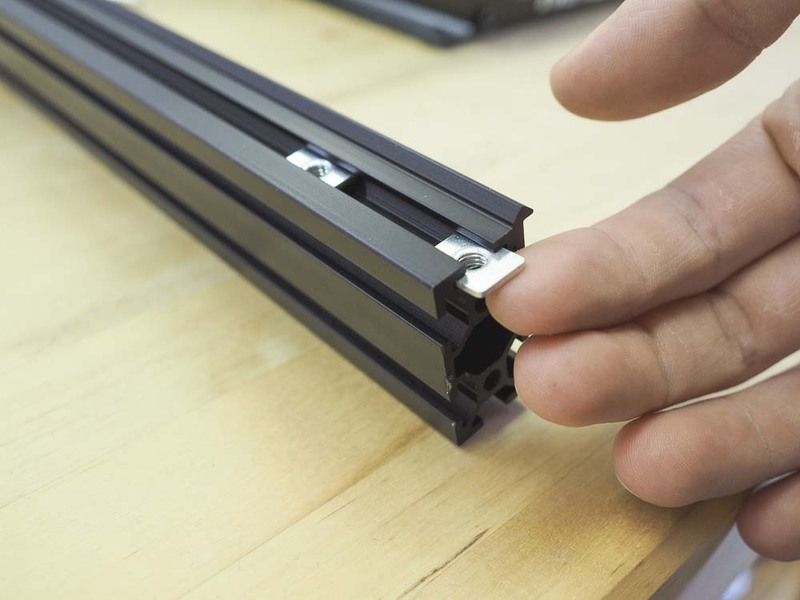 Insert 2x M5 pre-assembly insertion nuts into the top slot of each makerslide rail. These will be used to hold the belts. 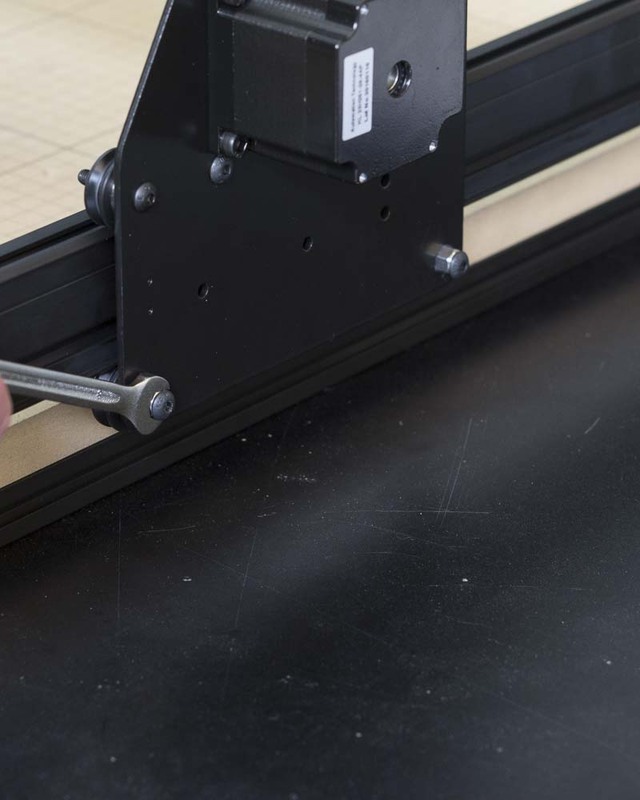 Slide each rail onto the gantry and attach another makerslide end plate onto each makerslide rail with M5x12 button head cap screws. Position the gantry and rails over the work area as pictured. Slide 2x M5 pre-assembly insertion nuts into the side of the aluminum extrusion on the work area to match up with the holes on each end plate (total of 8x nuts.) 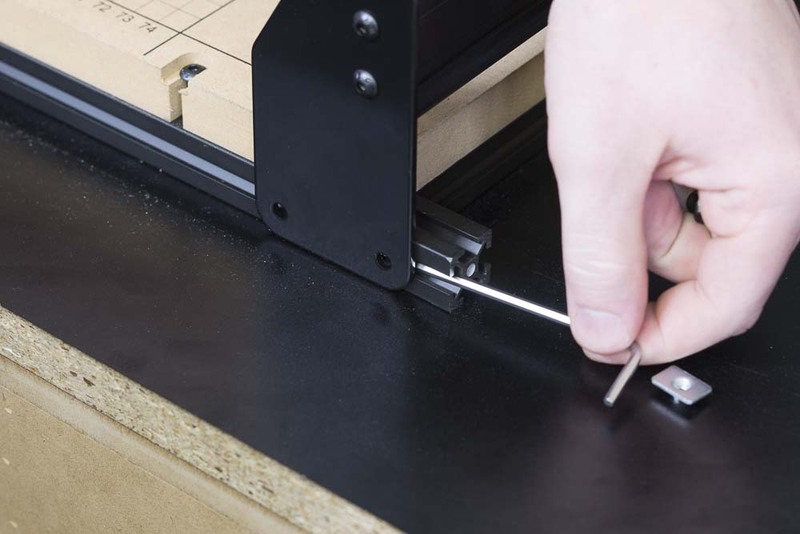 Use 8x M5x8mm button head cap screws to secure each end plate to the work area. 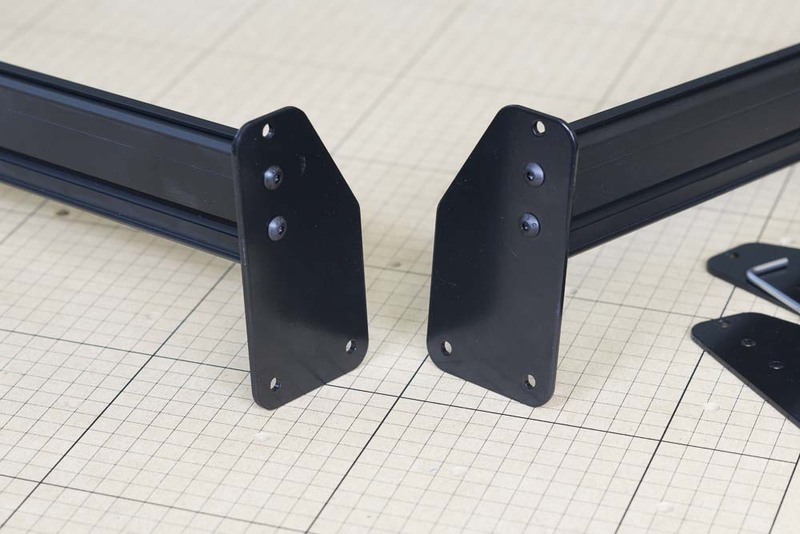 Adjust the v-wheels on each gantry side plate so the v-wheels run snugly on the rails, but not so tight that they bind. If you ordered your machine with homing switches you can now install the actuators for those switches. Begin by locating two M5 post-assembly insertion nuts, two M5x16mm socket head cap screws, and two aluminum spacers. 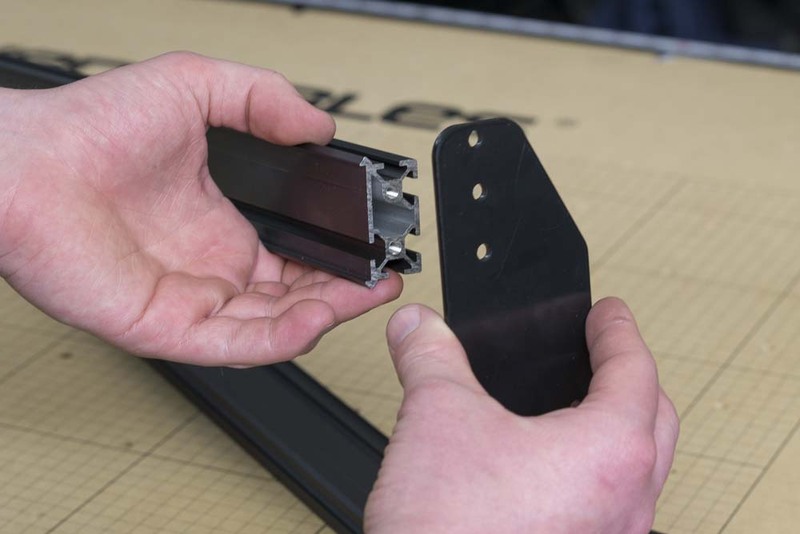 Insert a post-assembly insertion nut in the outer slot of the lefthand y axis rail. Make sure that the spring clip is facing in. 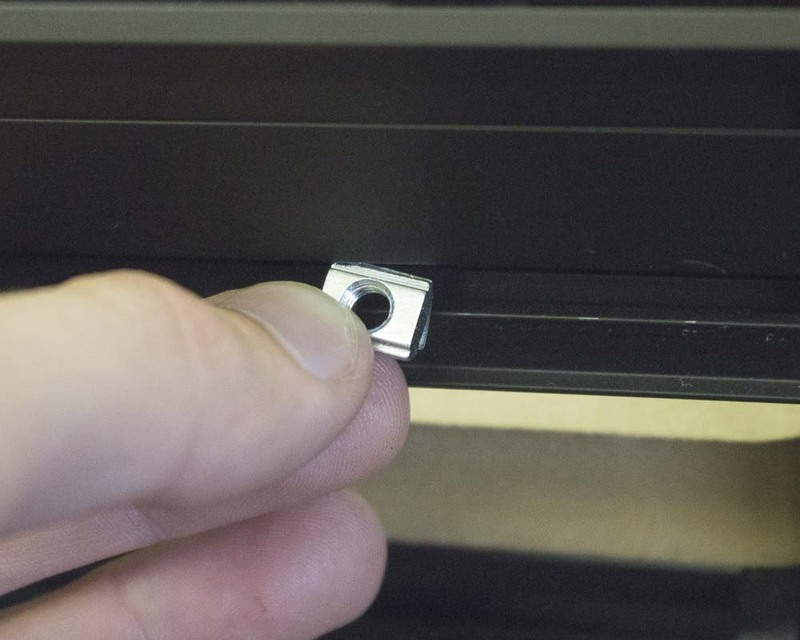 Put an aluminum spacer onto an M5x16mm Socket head screw and thread the screw into the nut. You can now adjust the actuator so it is roughly 3/4” away from the front plate.